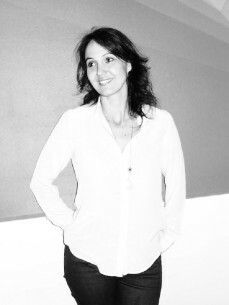 With a legal and communication training, Marie starts, in 1992, to produce concerts for Garance (Bjork, Massive Attack, Rage Against the Machine…) also owner of the parisien venue Elysée Montmartre. She continues then in 1995, at the head of the programming from its begining for the Divan du Monde. A place where she will also manage technical teams. In 1997, she founded a dancers troupe with which she performs at the best parties and festivals in Europe, Middle Est and NYC. In 2000, she operates as an art director and production manager freelancing for many events agencies. And, in 2004 she founds WE LOVE ART, an agency that became in 10 years a reference in terms of music, arts, culture & entertainment with events like : WELOVE parties in uncommon places such as museums, warehouse, woods, swimming pools and historical venue such as the Louvre or Orangerie du Chateau de Versailles, closing parties for Monumenta at Grand Palais, Nuit Blanche (free Art Fair in the street of Paris), festivals : We Love Green (sustainable event around music, food & culture in the woods of Paris) & The Peacock Society. Beside this activity, We Love Art develops itself as an agency advisor in production and communication in new tendency to imagine and set up space times for brands and their publics.